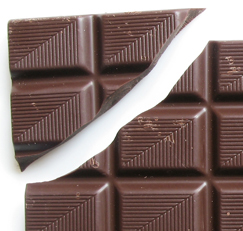 Chocolate tastes great—and it’s good for you, too. Its antioxidant flavonols may improve blood flow, blood pressure, skin and brain health. For these light recipes, use unsweetened cocoa powder (not Dutch process, which has fewer flavonols). It provides chocolaty flavor for only about 25 calories per tablespoon. *Use a heat-stable sugar substitute that measures like sugar, such as Splenda Granulated. Recipes: ¹Chef Ken Gladysz, Hotel Hershey … ²Hershey Kitchens.